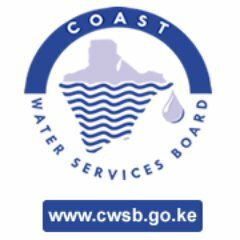 The Coast Water Services Board (CWSB) is a parastatal (Government Owned and Autonomous) created under the Water Act, 2002 and established through a Gazette Notice No. 1328 of 27th February 2004. The Board’s main responsibility is the provision of efficient and economical water and sanitation services to the people of the Coast Region. The CWSB covers the following six counties in the region: Mombasa, Kwale, Kilifi, Taita-Taveta, Lamu and Tana River. The CWSB operates under the Parent Ministry of Environment, Water and Natural Resources (MEWNR).